Creations were made and the game is feeling more real by the week. I'm getting a much better sense of what the full game will feel like months from now. With Unicorn Quest hitting this pseudo-milestone it's a good time to take a week off to visit my girlfriend and recharge my batteries for the rest of the summer. Catch up on what's going down in game development after the break. 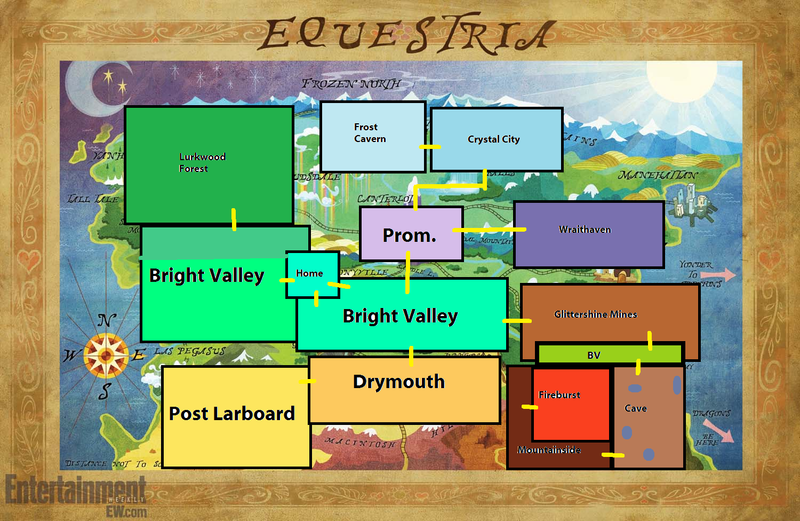 If you've been a reader here for a while you might remember a post where I shared a mockup of the world map based on Equestria and Hyrule. Going by that (and shrinking the scope a bit) I charted out the map you see above. 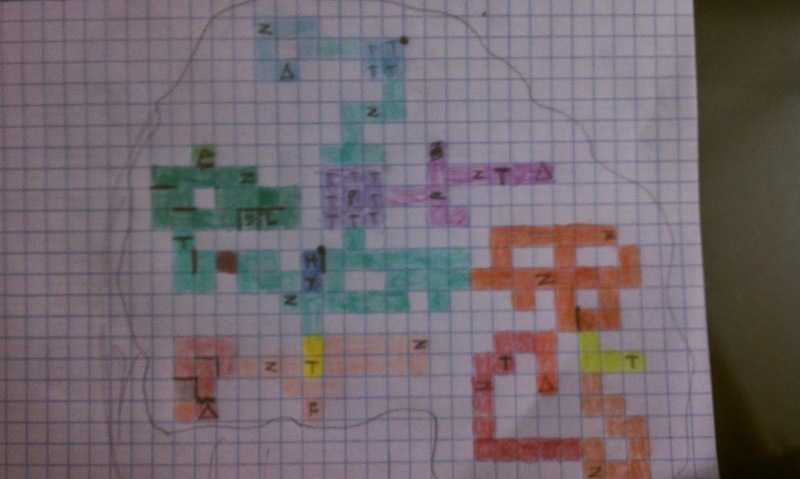 Each square represents one loaded scene, essentially a room, and I marked locations of boss encounters, dungeon entrances, and townships. Not every room will be the same size but this map demonstrates how they will all be connected. Dungeons will all be laid out the same way and be very straightforward. There is an entrance room, then you move through a series of rooms in a spiral pattern where each room is a puzzle where you get the key and reach the exit. 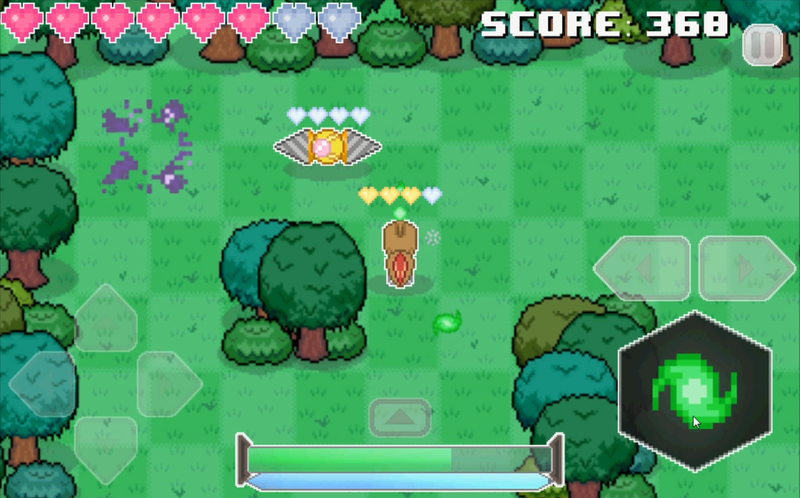 Enemies lurk and try to take as much health from you as possible before you reach the boss room at the bottom. The entrances will all look similar (just color changes) as they are all ancient structures created by your MIA mentor Grand Swirllock the Bearded. 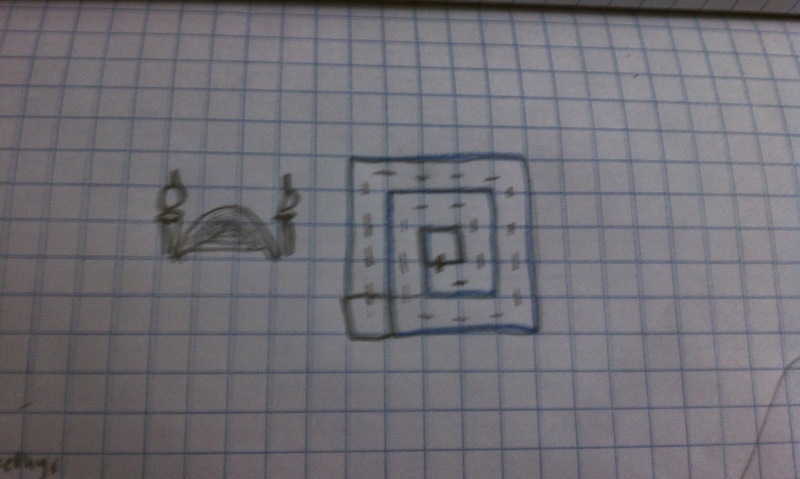 Tilesets for each location can be based on doodles so I know exactly what pieces I need. I can add a layer of decoration to everything afterward for finishing touches. 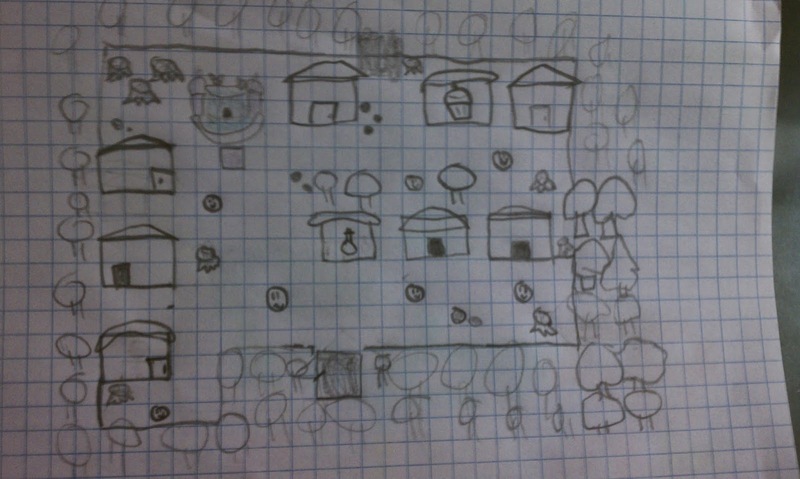 I can start making the town you see above once I have some sprites for the buildings, house interiors, and NPCs. I have yet to test out the text box system fully so I won't count it as complete today. It is basically done now and I'll sprinkle posts about what I went through when making it next week. I got a shoutout on a podcast I love listening to because of some positive feedback I left and that felt pretty good. I commented as my Anthony P. name so you might catch that if you listen to the Indie Game Riot podcast that started recently. Steady numbers are steady. Funny how my most popular game is the one based on Flappy Bird. Even funnier is how well executed I think it is. 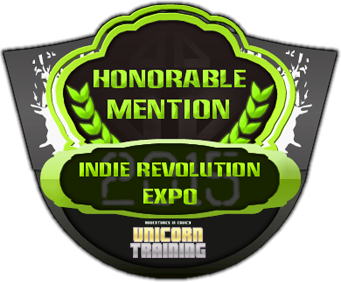 It stands alongside my Phoenix Wright project as proof that I can make any game I think up if I feel like it. Feed The Plant remains my most well-executed project. I got these gems free at a yard sale. I plan to play them all for 7 days. I'm taking the week off to see my girlfriend so I'll try to keep this site going while I'm miles away from my work desk. That means no gushing post next week so keep an eye out for another one in July if you like those. A cool thing about being a game designer is mentally counting play as research. I am legitimately over-analyzing every detail in games I play and movies I watch and just can't help it. My designer goggles won't ever come off and I can't say that it bothers me. My greatest ideas are born from looking at games and imagining what went into them. Even Unicorn Quest came from watching a Playthrough of A Derp to the Past.